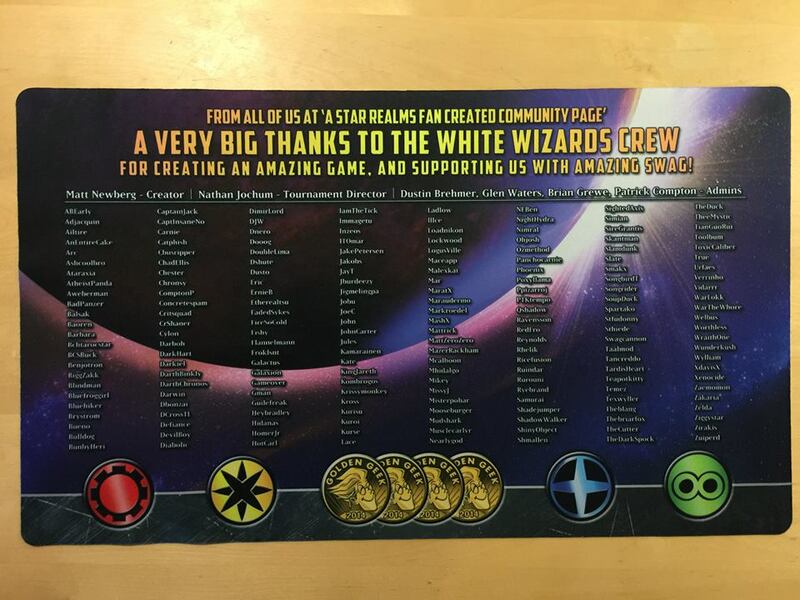 Recently the great guys over at A Star Realms Fan Created Community facebook page had a custom playmat made for the White Wizards crew containing the names of the members who participated in the first round of online tournaments. My screen name graces this playmat along with the names of many awesome people I have met as part of the Star Realms community. Special thanks to the admins and members of A Star Realms Fan Created Community facebook page as well as the people at White Wizards games for making such an amazing card game.